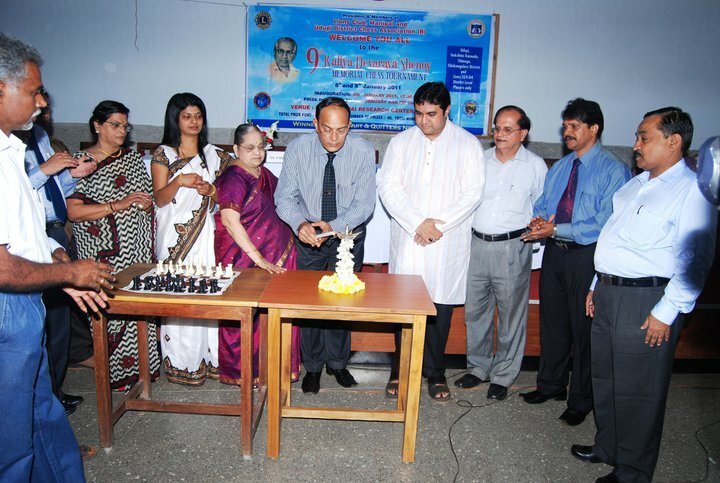 The event was inaugurated by the Dean of Kasturba Medical College, Dr. P.Sripathi Rao, by lighting a traditional lamp. Dr.Rajgopal Shenoy’s Mother and wife of Late Kallya Devaraya Shenoy, was also present at this ceremony. The event is organized every year and sees a good response each year. The guest of honour this year was Industrialist Mr. Pramod Madhwaraj, from the nearby coastal township of Malpe. Also present at this annual event were, Mr Mohandas AGM Corporation Bank and Sri Vidyavanth Acharya Principal SRS college, who distributed prizes to the winners and participants. Photograph with Lions club members and my mother Smt Jaya D Shenoy. 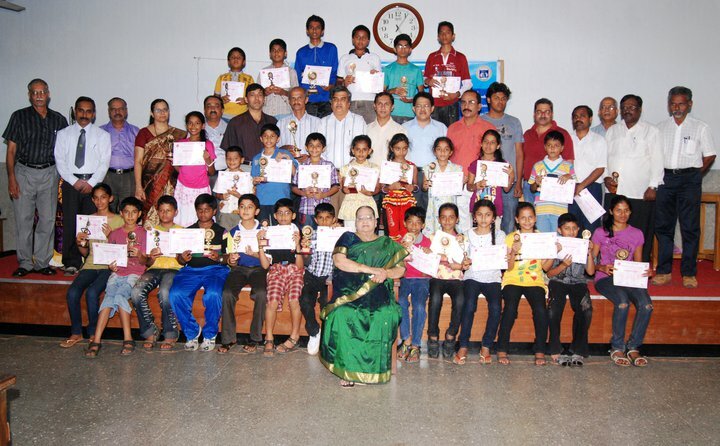 Mr.Santosh Kamath also honored the local chess talent. A total of 40 trophies and cash prizes amounting to 25,000 were given to winners and participants this year. 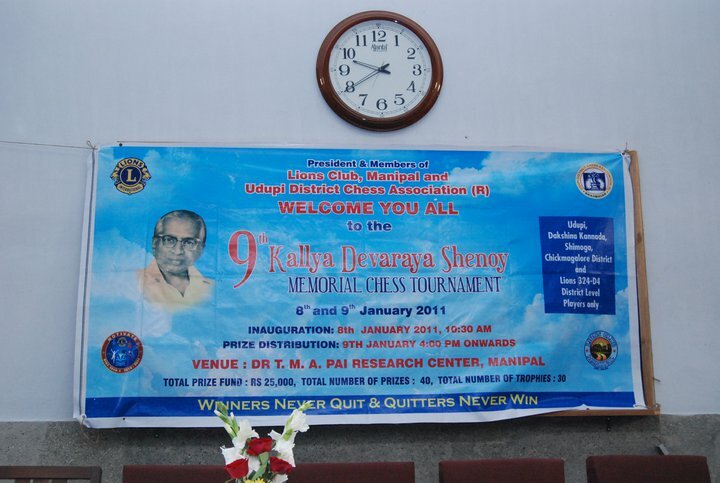 The entire program is sponsored by a Permanent chess fund account set up in the memory of the Late Kallya Devaraya Shenoy. Dr.Rajgopal Shenoy wants to continue hosting this event each year in the memory of his father, who he says was a good chess player himself. Dr.Rajgopal Shenoy himself is a chess enthusiast and regularly participates in the annual intra KMC chess tournaments, and plays for the TIPS team each year. His dream is to organize a FIDE Rated chess tournament in Manipal. The ManipalBlog team wishes him good luck and a successful conclusion of his dreams!